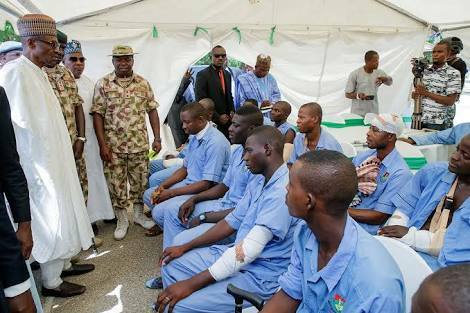 President Muhammadu Buhari has told the military that the war against Boko Haram is a must win and they should know that their duty is to eliminate Boko Haram from the face of earth. 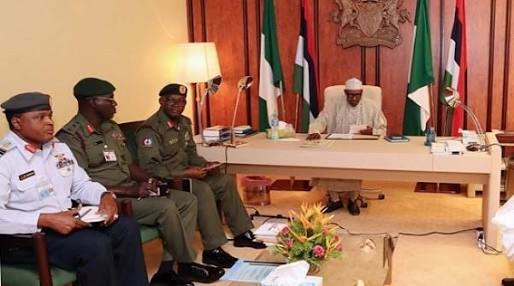 Buhari, who urged the armed forces to remain focused and committed in ensuring that the task was achieved, also called on them to be vigilant during the 2019 electioneering. Buhari, who admitted that the war on the insurgents suffered some setbacks recently, said, “One of the cardinal objectives of this government is security. In this regard, the Nigerian Army’s efforts have led to the dislodgement of insurgents from areas hitherto viewed as their strongholds, rescue of abducted persons, return of internally displaced persons and the gradual return to normalcy in the North-East. “The effort of the military has also stabilised the security situation in the Niger Delta and other parts of the country and curtailed the clashes between herdsmen and farmers. “I must commend the selfless sacrifices of our armed forces especially the heroic officers and soldiers of the Nigerian Army who by virtue of their commitment to operations all over the country have brought about the desired peace. “The officers and soldiers who are fighting against the scourge of terrorism in the North-East deserve all the attention our country’s leadership can demonstrate to them.